Have you ever looked up at the sky and wondered what the stars are called? 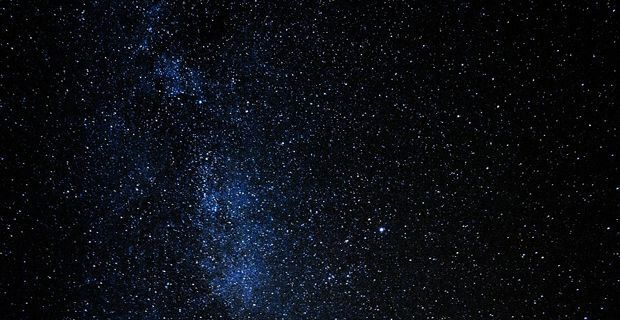 Most of us have done that from time to time, and with the aid of a decent smartphone, your stargazing can be as informative as it is enlightening because the web’s got all the information you’ll ever need on the name of the stars and constellations. Can you imagine looking up at the night’s sky and wondering where the star named after you is? That’s what’s on offer now through the likes of Starling Star Registry. Although thousands of stars are visible to the naked eye, only a few hundred of them have been given names by astronomers. You can now add your name to one of those twinkling gems in the sky. Doing so is easier than you might think because there are companies that will handle the whole thing for you. The companies providing this service offer a variety of packages meaning you can tailor it to your taste and budget, but whichever one you choose you’ll be provided with a certificate that uses accurate coordinates and a catalogue number to show the details of the star named on your behalf. If this is a gift, you can normally include a personal dedication to the person you’re naming the star after. If there’s an option to get the certificate framed, take it up so you or the lucky recipient can hang it on their wall immediately. If the point of naming the star is to see it in the night’s sky, then you’ll need to check out the star map that is normally provided. It’s invaluable because it will tell you the constellation the star belongs to and the neighbouring constellations. A good provider of this sort of service will also offer a manual that introduces you to stargazing as this is the sort of thing taken up by romantics new to the night’s sky and experience stargazers in equal measure. Do you have someone special in your life that’s impossible to buy for? That certain special someone who's got everything they need would love what we're suggesting here. Whether that's a parent, child, friend or lover, having a star named after them is the sort of special gift that would bring a smile to everyone's face. Whether they’ve got an unusual name or something a bit run of the mill, this is the sort of gift that keeps on giving so it’s worth considering this for that hard to buy for person in your life. This is also the sort of gift that can be used to celebrate a life when a loved one has passed away. You could make a lasting memorial for the family and friends of the departed by naming a star after them. We’ve wondered what it would be like to gaze up at the stars and find the one named after you or a friend or a relative but imagine looking up at the night’s sky with a lover’s hand in yours while you search for their star? That really could be the most romantic experience, and it can be made even more special with the addition of star-shaped jewellery, which we’ve seen offered with one or two of name a star packages currently on offer. Don’t be alarmed that this will cost the earth because you can get an introductory package from £50 and you’ll only ever pay around £200 if you opt for all the extras. That’s not expensive when you consider how unique this is. Free laptops with T Mobile, check this out!